Tradeguider offers 4 charting / trading options for the MT5 platform. 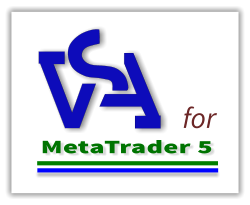 If you want to learn the VSA methodology and use it to analyse charts in your MT5 package then Option 1 is right for you. You can use the Scanners to identify trend alignment and the VSA software tools to identify trades setting up using our Scan Confirm Trade trading process. If you are a stocks trader / investor looking for a trading system that will scan the indexes looking for over-performing and under-performing stocks and then enable you to scan these automatically for trend alignment and then identify trading opportunities, then Option 3 is where you should start.